In addition to configuring the free disk space threshold for the backup service, set up alerts for free and used disk space. 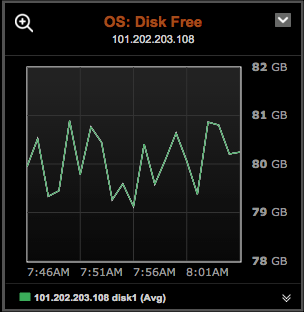 Add a graph to your dashboard to visually monitor free disk space. To monitor free disk space in a dashboard graph view: Click Add Graph > Add Metric > OS: Disk Free. Click the Configure link for Disk Space Threshold.